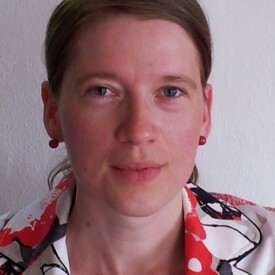 Judita Peterlin, PhD, works at the Faculty of Economics, University of Ljubljana. She joined the first Eating City Summer Campus as a participant and since then, she has been involved in successive editions and also in other Eating City workshops as a facilitator and coordinator of the Summer Campus facilitators at La Bergerie de Villarceaux. She graduated from the Faculty of Social Sciences and gained her Master’s degree at the Faculty of Economics University of Ljubljana. She gained her knowledge also at several international institutions, such as: European Institute for Advanced Studies in Management (Brussels, Belgium), Lehigh University, Iacocca Institute (Bethlehem, USA), WSB-NLU University (Nowy Sacz, Poland), St. Gallen University (St. Gallen, Schwitzerland). She finished PhD studies at the Faculty of Economics University of Ljubljana in 2014. She is teaching at the following courses at the Faculty of Economics University of Ljubljana: Foundations of management and organization, Management – English Track, Knowledge management, and Advanced management. She is the AIM2flourish professor, actively researching business innovations with her students in Slovenia and also in Croatia (during her exchange at the Faculty of Economics in Split in 2016). She has received several awards, among the latest are the ISL Conference Scholarship winner 2015; the Entrenova 2015 Award for Intelligent Systems in Tourism Best Paper Award for the paper co-authored together with her mentor Vlado Dimovski, PhD and “Best Paper Authours” at the Academy of Management 2016. Her main research interests are: social innovation, leadership development, multiple intelligences, appreciative inquiry and sustainable leadership.